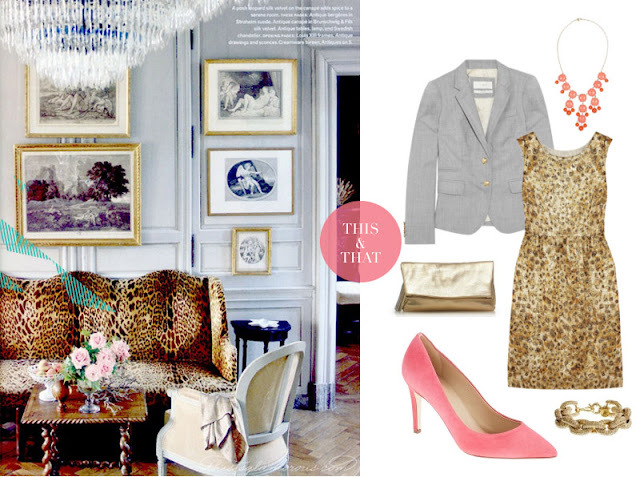 Taking inspiration from this glamourous room with soft grey walls, gold frames and that daring leopard print couch, I put this outfit together with pieces exclusively from J.Crew. 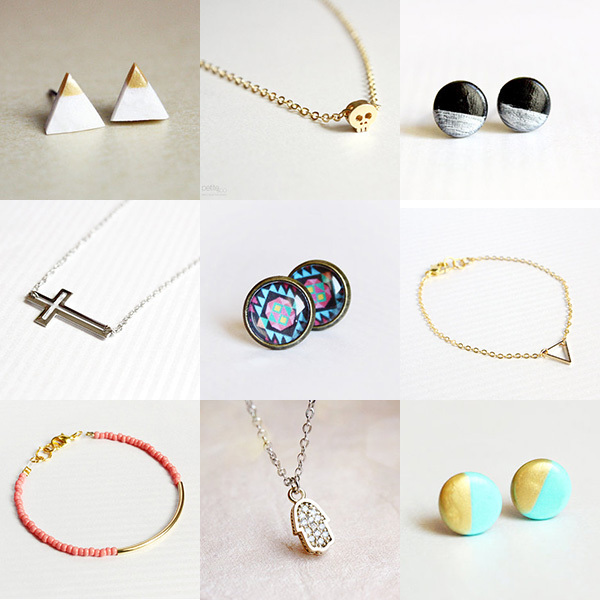 I love Etsy for a lot of reason's, and one of my favorite spots for simple, delicate, modern jewelry is Petite & Co. I have 5 pairs of the gold dipped studs, and I'm anxiously awaiting the skull & cross necklace.Most of the pieces range from $10-$20, which is awesome when you're trying to incorporate accessories into your wardrobe without breaking the bank. It's rapidly becoming Fall here in the Mid-Atlantic, and tweed is one fabric I always gravitate towards when the leaves start to change and the air becomes crisper. Here are 5 totally different ways to add some tweed into your wardrobe, at every price point! As many of you know, All Things Lovely has been a smattering of my interests, work and ideas, and I've decided to change things up a bit by creating a separate blog for photo work, and keeping All Things Lovely as home to my musings on fashion, home, design and lifestyle! Sort of separation of Church and State if you will. and new tumblr blog where Nic and I will posting a variety of images from our work, activities and travels. Well? Would you wear this outfit? Out of context, you might think the girl wearing this was either blind or completely mental, but I think it could be absolutely adorable if styled just so. Image the sleeves rolled up, unbuttoned to display the beautiful necklace and maybe some classy hint of the cleave, a messy bun on the top of your head and a great big grin! 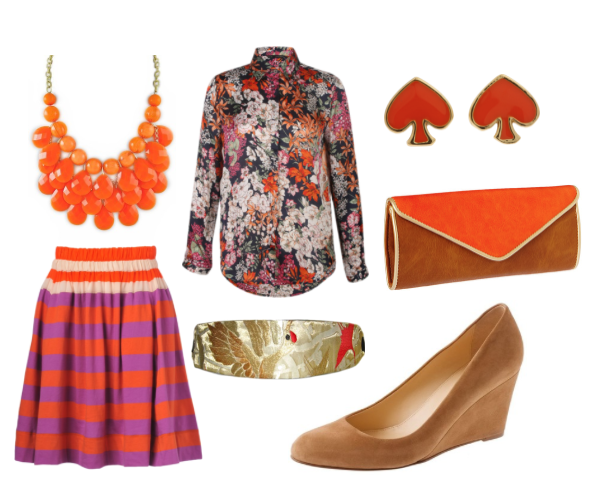 fashion should be fun, and I love unexpected pairings that tell a lot about someone's style or personality. Clothes make a statement, what do you want your wardrobe to say? Lisa was almost 8 months pregnant during her maternity boudoir session, and I've gotta say, she was the tiniest pregnant woman I'd ever seen! She was positively glowing and such a beautiful woman inside and out, and only 2 short months later, she gave birth to a beautiful little girl. I know a lot of women are on the fence about doing a maternity shoot, let alone a maternity boudoir, but I think it's such an amazing time in a woman's life, and it's a testament to just how incredible & beautiful the human body is. 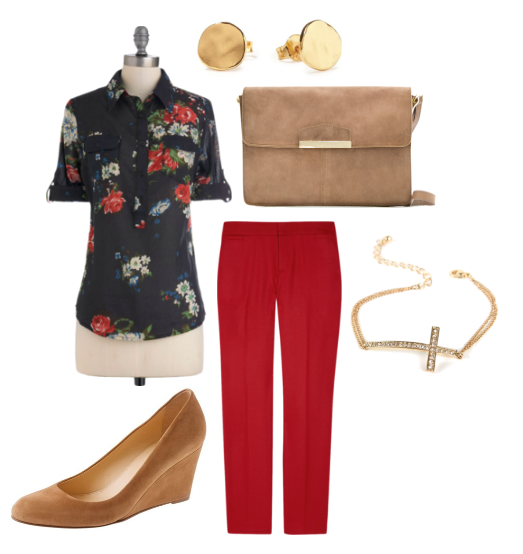 Despite being September, it's still warm out, so it's the perfect time to wear not so Spring-like Florals for work or play.